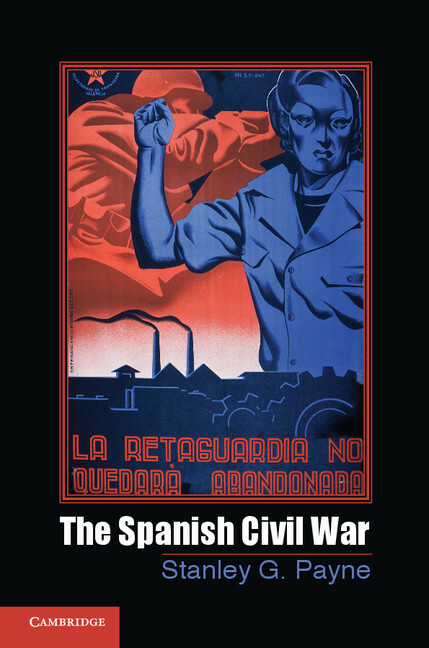 For most of the twentieth century, the Spanish Civil War was one of the most vividly remembered conflicts in the recent history of Europe. It remains the most important event in European affairs in the decade prior to World War II. I have been studying and teaching various aspects of the Spanish struggle for more than half a century—ever since 1955—and a few years ago published a “problems” book about the war in Spanish and French. Since it was the dominant event in contemporary Spanish history, more and more new research about it appears every year, and the invitation to write a concise general account for the new Cambridge series seemed an appropriate opportunity to present the war to a larger audience. The Spanish struggle has often been presented as though it were a kind of fairy tale either of “democracy versus fascism,” of the righteous beset by the incredibly evil, or of “fascism versus communism,” but history is rarely so neat and mostly consists of varying shades of gray. This book tries to explain the complexity of the conflict, and especially its convoluted origins. Moreover, rather than describing it as a totally unique event, as has often been done, I have examined the war within the broader context of the European revolutionary civil wars of the era from 1917 to 1949, of which it was one of the prime examples. It was a gruesome war, not so much because of the bloodshed at the hands of the opposing armies (which was comparatively limited), but because of the very large number of political executions of civilians, which claimed almost as many victims as the fighting itself. This, too, was typical of the European revolutionary civil wars, and the two opposing “terrors” are treated in some detail. Altogether, they accounted for more than 100,000 executions of civilians, to which must be added an additional 30,000 executions by the Franco regime after the war ended. The horrific scope of this process is better grasped when it is pointed out that total military deaths, including those of foreign volunteers, scarcely exceeded 175,000. The revolution in the Republican zone was a crucial part of the conflict, but in the preceding historiography the emphasis on the radical politics of the two opposing sides sometimes obscured the war itself. While giving attention to the revolution, I have also tried to restore the importance of the military dimension, and to evaluate that as well within the broader parameters of modern military history. The international ramifications of the Spanish conflict have always sparked a lot of interest, though there has been a tendency to exaggerate their significance. This book attempts to discuss them accurately while situating the war in broader European affairs more precisely, without exaggeration.